Pay-per-view (PPV) format perfect for individual users. Get immediate access to this interactive eLearning course online. Must be used within 30 days, expires 48 hours after launch. Includes 9 courses for $299/year. Includes 135 courses for $1,199/year. Ideal for corporate licensing and high volume users. Get Convergence courses into your current LMS to track and report employee training. Or contact us to learn more about the advantages of licensing our courses with the Convergence LMS. The full course is 29 minutes long and available in a number of affordable formats. Explore this page for pricing and delivery options. Claw hammers are used for pounding nails or, using the V-shaped split on the other side, extracting them. A wrench should never be used as a hammer. Wrenches come in many different shapes and sizes. 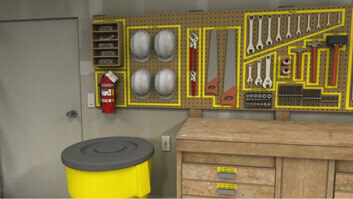 Wrenches and hammers are two of the most commonly used tools. 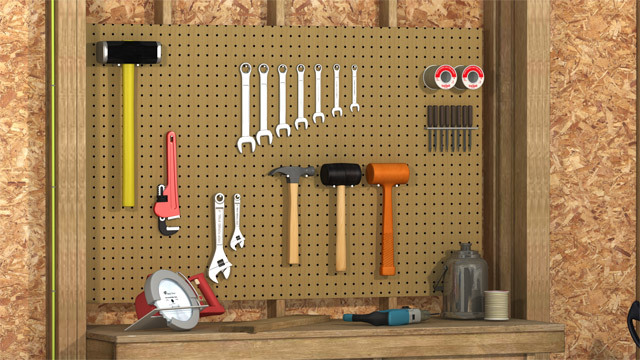 From do-it-yourself weekend projects in the garage at home to large scale industrial construction, it is almost inevitable that wrenches and hammers of one kind or another will play a significant role. They are incredibly helpful, and make difficult jobs much easier and more efficient. This course will describe the different types of wrenches and hammers available as well as safe work practices for using them. What are the keys to using wrenches and hammers? The keys for using wrenches and hammers are to select the right tool for the job, follow safety rules, use the tool properly, and store, maintain, and transport the tools correctly. How should tools be carried? When transporting tools, carry anything with sharp edges pointed down or carry tools in the tote tray. What are common types of wrenches? Common types of wrenches include open end, box end, combination wrenches, adjustable, socket, nut drivers, pipe, Allen, and torque. What are common types of hammers? Common types of hammers include claw, ball-peen, mallets, and sledges. 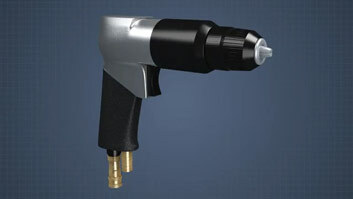 The purpose of a hammer is to strike or hit another tool or part. When choosing the right hammer for the job, it is important to keep in mind a few rules. Make sure the hammer is the right size. If a large object is hit with a small hammer, it can cause the hammer to spring back dangerously. 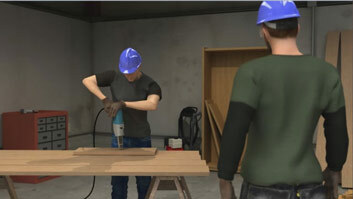 If a small object is hit with a large hammer, it can damage the object. Always check that the hammer head is tightly on the handle. Also, check that the handle is free of oil and dry. Only use a steel hammer when maximum driving force is needed. Be sure to grasp the hammer's handle close to the end. Fingers should be underneath the handles with the thumb on the side or top, and hold the hammer so that its face and the object's surface are parallel. I would like to have several employees take multiple courses. How can I set that up? We're in the process of making bulk course and multiple user purchases easier. But for now, you can order multiple courses and contact us with details on who you'd like to assign courses to. We can set up each user's training plan and make sure everyone gets the eLearning assignments they need. Can I get a free full-length preview of a course to see what this course covers? While we do our best to offer details on course contents, we don't normally offer full-length previews. But please contact us with more details for a better understanding of what your organizaton needs and how we can help. Do I get a certificate when I complete a course? Yes. All of our courses allow you to print a completion certficate upon successfully passing the integrated test at the end of each eLearning course. How do I log in to take a course that I have already paid for? You'll receive an email with login details moments after you purchase your pay-per-view (PPV) course. Just click the login link and enter the user name and password provided. Do you have courses in different languages? Yes. While all of our courses are originally produced in English, we develop many courses in a growing number of languages, including Chinese, Dutch, German, Italian, Japanese, Korean, Polish, Portuguese, Russian, Spanish, Tamil, and Thai. Available languages are normally displayed in the Course Details section on each course page. Added to Cart! Click here to view your cart. Perfect for individual users. Get immediate online access. Must be used within 30 days, expires 48 hours after launch. DVD alternative for in-person classroom training. Get one or more videos on a USB drive. Content expires after 1 year. Import our SCORM/AICC compatible eLearning courses into an LMS for administrative tracking and reporting on training. Stay up to date on our products and offerings and get safety, compliance, and training administration tips in our free monthly newsletter.